Cost: Pintxos (Basque-style tapas) at the bar are priced at £2.50 each. Starters cost £8 to £16, with main courses at £15 to £25. Desserts are priced at £7. 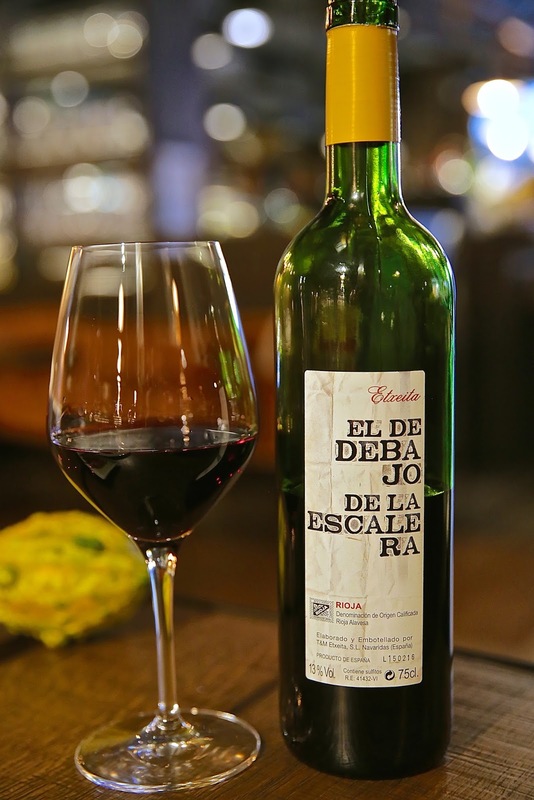 There is an extensive range of Spanish wines available by the glass, bottles are priced from £20. 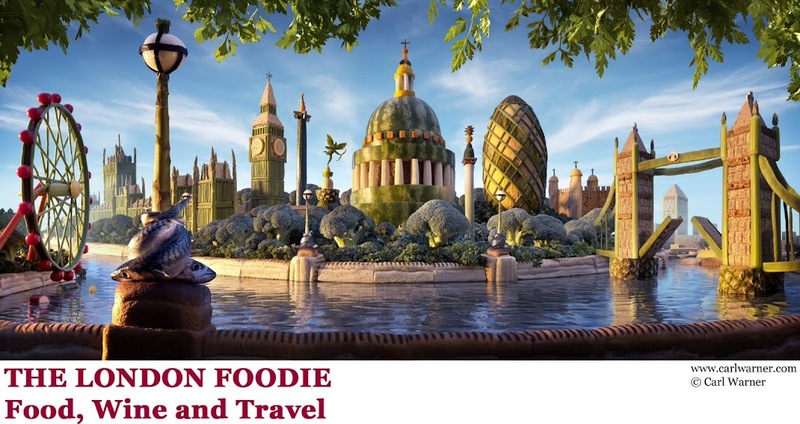 About: I am a huge fan of the food from the Basque Country, and have been lucky to visit the region on a number of occasions, featured here, here and here. San Sebastian is one of my favourite foodie destinations, so I was eagerly awaiting the opening of Sagardi in London. Sagardi in Shoreditch is the first UK branch of the Spanish Basque restaurant group founded in Barcelona in 2000 with restaurants in Madrid, Valencia and Seville, as well as in Porto, Portugal. Today, in addition to the UK, the Sagardi Group has an increasing international reach with branches also in Argentina and Mexico. This latest Shoreditch branch opened in August 2016, and boasts an impressive butchers-style display of dry-ageing beef in the entrance, and extensive use of industrial steel, huge wooden tables and bare concrete floors. There is a huge wood-fired grill on which beef, whole fish and suckling pig are cooked. Suspended from the ceiling is a massive painted wooden boat and most of the restaurant's back walls are massive, floor to ceiling wine fridges. The overall look is clean whilst retaining plenty of warmth and elegance. 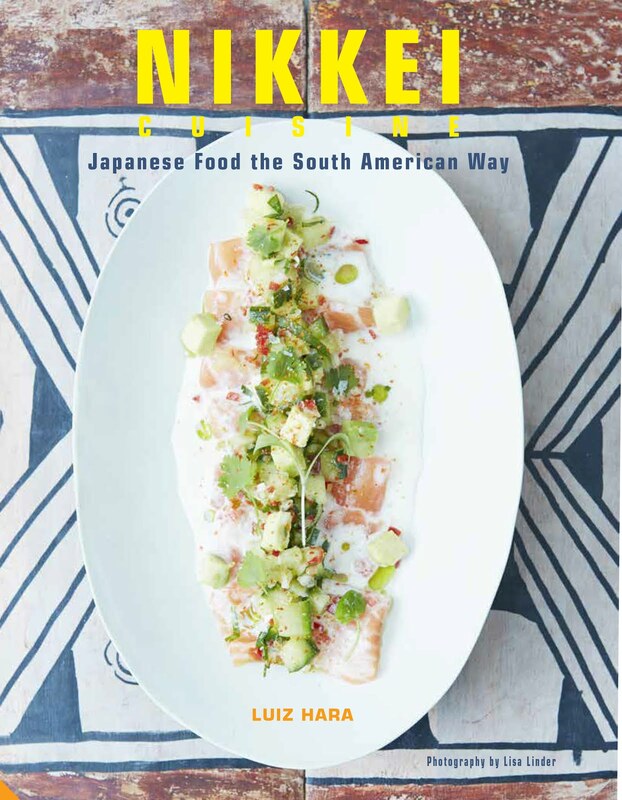 What We Ate: The bar features Basque-style pintxos – small bites (many of which are served on single slices of crusty bread) with myriad Spanish seasonal ingredients, to be enjoyed with a glass of wine or the Basque spritzy, youthful Txakolis. Sagardi's menu, delivered by Spanish head chef Josep Roca, is short and well-thought out featuring some favourite Basque home-cooking dishes like Donostia seafood soup, stuffed baby squid in black sauce, suckling lamb trotters in Biscay sauce, and oxtail braised in a Rioja sauce. We started with a few pintxos (£2.50 each) at the bar. As is common practice in Spain, diners can help themselves to pintxos from the counter, and the bill is calculated by counting the number of skewers left on the plate. The Gilda is a classic pintxo and one of my favourites (I find it impossible to eat only one of these), with pickled guindilla peppers, green olives and white anchovy fillet – it is salty, sour and brimming with flavour and Sagardi’s was as good as it gets! We also tried a couple of other pintxos on slices of crusty bread – the first was topped with tuna mayo, onion and shredded hard egg white, cherry tomato, pickled guindilla peppers and anchovy fillet; and the other with a delectable salted-cod tortilla. Moving to our table in the main restaurant, we started a few pieces of pan-fried Txistorra (£8), a fast-cured pork sausage from the Basque country, it was fatty and lightly spicy, and went down perfectly with the crisp Txakoli wine. The tartare of Azorean tuna came with chopped confit tomatoes (£16) seasoned with chives, basil and green Ibarra chilli peppers. With tart freshness coming from a dressing of capers, shallot, oregano, olive oil, balsamic vinegar and a touch of sugar, all served on sourdough toast, this was a winner dish. From the seasonal menu, as an autumnal treat, we opted for the king mushroom confit in olive oil (£21), served with beef jus, a raw egg yolk and a scattering of chopped chives. The mushrooms were meaty and delicious with the addition of the raw yolk bringing a touch of lusciousness. Wild Cornish turbot was on the menu the day we dined, and so we opted for it served ‘Donostia style’ (£9 per 100g). Donostia is the Basque name for San Sebastian, and Donostia-style means cooked on the bone over a hot grill, then filleted and served, cheeks and all, with a sauce of butter, olive oil, garlic and parsley. With a final deboning at the table, this was a spectacular piece of fish - of great quality, and simply cooked. The main course was suckling pig, deboned, filleted and stuffed, cooked in the oven and then finished off on the grill (£24 per couple). Served with mashed potato and piquillo peppers, the pork was delicate, well seasoned and extremely tender. As is traditional in many parts of Spain, Sagardi serves this dish every Sunday – this is my kind of Sunday Roast! To finish, we had Txuleton rib-eye steak. Txuleton beef is a specialty of Northern Spain, and comes from old bullocks (in Galicia) aged at least four years, or diary cows who have reached the end of their milking life (in the Basque Country). With yellow fat marbling throughout, the meat has a rich flavour and succulence and Sagardi’s was no exception. It was simply served with a Basque salad of lettuce with spring onions and a zingy vinaigrette dressing of Basque apple vinegar. For dessert, we had Torrijas – this one of the best Spanish desserts in my opinion, a delectable warm pudding of fried bread, milk, sugar and cinnamon, served with a tangy, refreshingly yoghurty sheep's milk ice cream (£7). What We Drank: Sagardi has its own-label bitter and lager brewed in Liverpool, exclusively available in the restaurant. Unusually for London, there is an extensive range of Txakoli wines, made from the Hondarrabi Zuri grape that is native to the Basque Country. These very dry and slightly spritzy wines are the norm in San Sebastian, with high acidity and low alcohol. 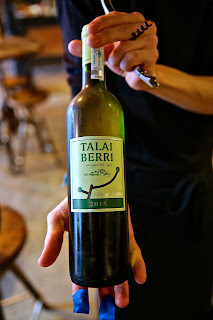 The crisp and refreshing example we tried from Talai Berri 2015 (£7 per glass, £32 per bottle) was crisp and refreshing, with a slight petillance. To accompany the fish courses, we had the Terra de Godos Albariño 2015, from Rias Baixas, Caldas de Reis (£30 or £7 per glass). This was a well balanced and fruity white from Galicia which still remains one of my favourite grapes. With the suckling pig, we had a glass of El de Debajo de la Escalera 2014, a natural Rioja made from Tempranillo and Graciano grapes (£9 per glass, £38 per bottle). With complex flavours of black berry fruit, high natural acidity and tannins, this was an excellent match for the unctuous suckling pig. 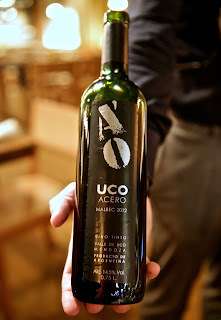 To accompany the Txuleton steak, we had a glass of Uco Acero 2012, a natural wine from Do Valle del Uco, Mendoza, Argentina (£7 per glass, £33 per bottle). This wine is made from 100% Malbec grapes, but being grown above 1,100 metres, it had none of the jammy qualities so often found with this varietal. 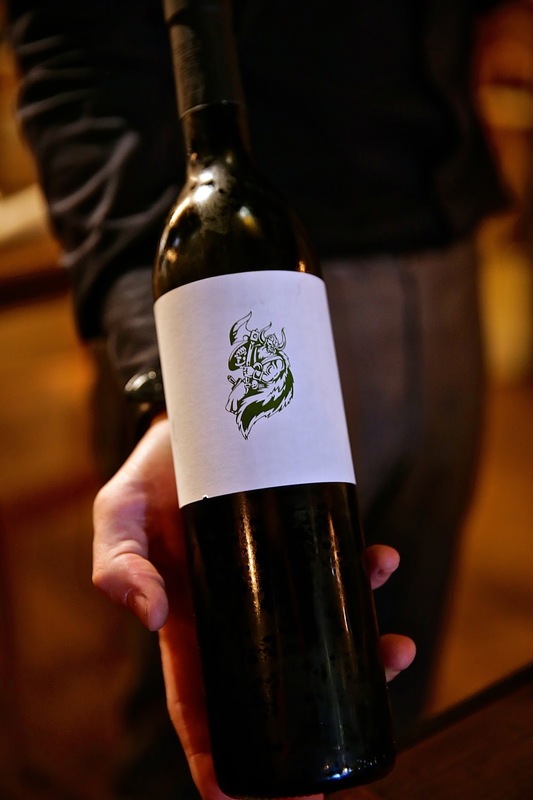 Instead it was a complex, well structured and muscular wine, rich in tannins and minerality, and a good counter-weight to the aged beef. 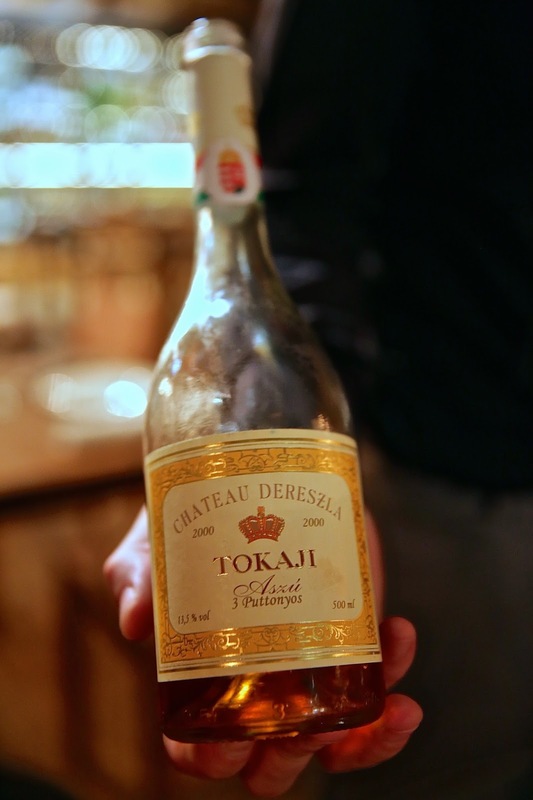 With dessert, we had a glass of Chateau Dereszla Tokaji 3 Puttonyos (£9 per glass). With aromas of apricot, honey, orange peel, and lots of refreshing acidity on the palate, this was a very well made Hungarian wine. Likes: The turbot was for me a great example of how to serve this finest of fish, the Iberian way - with minimal fuss but maximal flavour from grilling it on the bone and serving with a simple butter, garlic and parsley sauce. The Sunday roast suckling pig is one of the few places in London serving this delicacy that is so popular in Spain. The aged txuleton rib-eye steak was outstandingly good. I love having the option of helping myself to pintxos with Txakoli, which takes me back to my many pilgrimages to San Sebastian’s Old Town. Verdict: A perfect meal for me at Sagardi starts with a selection of Pintxos and Txakoli at the bar, followed by their sumptuous Donostia-style turbot, the Txuleton rib-eye steak, and a big platter of Iberico suckling pig roast with all the trimmings, finishing off with Torrijas for pudding! For an authentic Basque culinary experience in London, Sagardi ticks all the boxes and I cannot wait to return. Highly recommended.